Osborn Load Runners are robust cam follower assemblies of carefully fabricated outer shells/treads and precision bearings fitted to high tolerance shafts. All Osborn Load Runners match the tread, shaft and bearings into a cohesive, highly engineered unit used in dozens of industries and hundreds of applications. 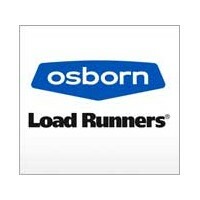 Osborn Load Runners also offers engineered rail solutions to ensure precise and repeatable linear motion for years of uninterrupted operation.